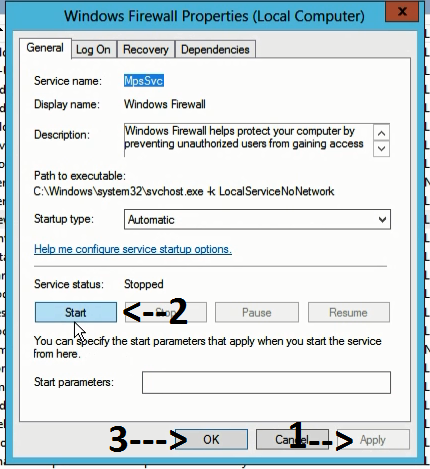 This problem occurs when there is some error in Windows firewall services and it is stopped. Scroll until you see Windows Firewall. Click the drop-down list next to Startup type, and then click Automatic. 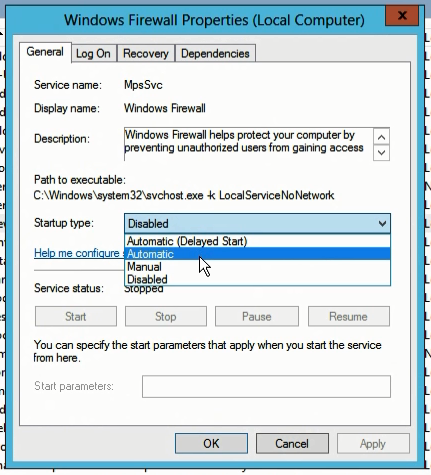 Click Apply, then click Start, and then click Ok.
Now of you check the Windows Firewall should be enabled. Start services.msc as administrator (right click on the them and Run as Administrator).